Plastic disc DVD (1 kg. / Pack). 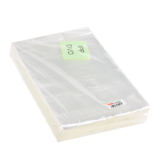 Plastic bag to DVD (1 kg. / Pack). Pen burn CD (10 shaft) black. Notify me of updates to Plastic disc DVD (1 kg. / Pack).